Located in the beautiful New England town of Northampton, the Smith College Conference Center offers guests an unforgettable, picturesque setting combined with the professionalism of a modern meeting venue. 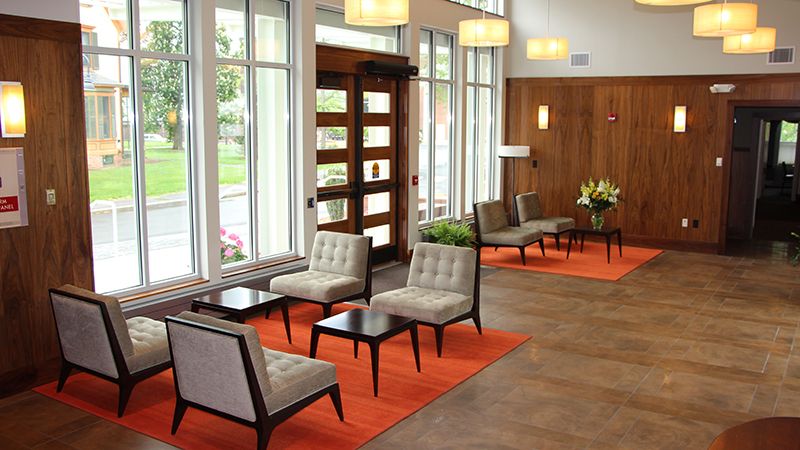 Nestled in the historic Five College area of the Pioneer Valley and easily accessible from Boston and New York, the Conference Center is a wonderful alternative to the average conference facility. 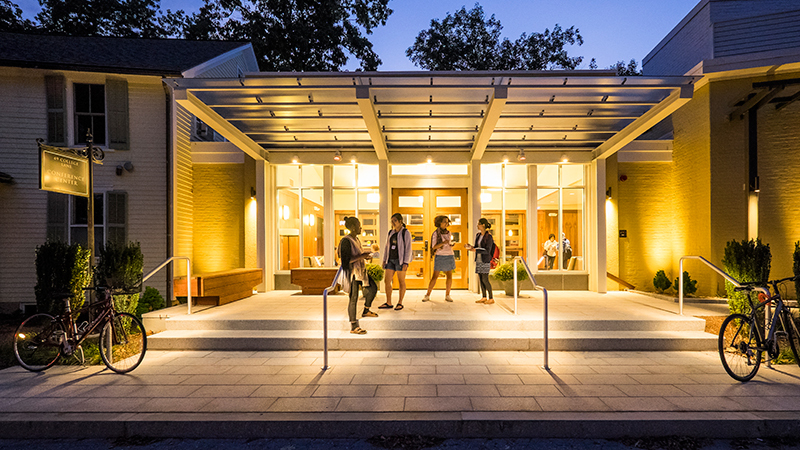 For groups from five to 250 people, the Smith College Conference Center gives its guests unparalleled customer service and value. Several rooms of varied sizes are available for your meeting, conference, lecture, retreat or special occasion. Equipped with the latest audio/visual capabilities and an on-site, professional-scale kitchen, the Conference Center offers accessible solutions for all your event needs. The Smith College Conference Center is located at 49 College Lane, Northampton, Massachusetts 01063. We can be found on campus near the intersection of College Lane and Green Street, overlooking Paradise Pond. From downtown Northampton, approaching Smith College from Main Street, bear left just before the college gates onto West Street. Take the first right onto Green Street and follow it down to the roundabout. The Conference Center is the long yellow building just ahead and to the right. There are several parking lots available for guests only a short walk away from the Conference Center.